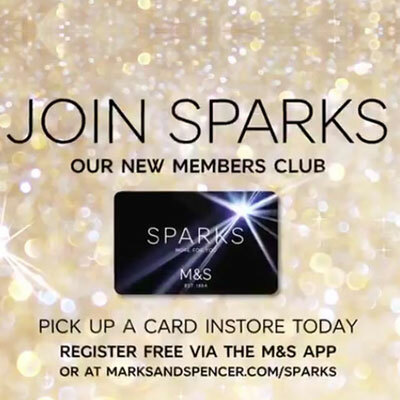 Sparks gives you more of M&S, including tailor-made offers, priority access to M&S new-season previews, sales and exciting money-can’t-buy experiences. 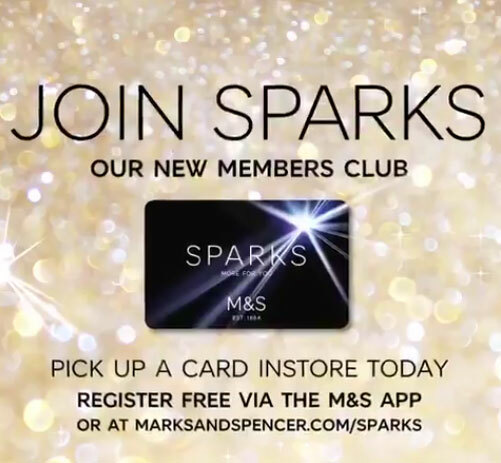 M&S are offering customers the chance to join up to what is described as an exclusive private members club with their new Sparks card, all you have to do is come in store and M&S will do the rest. The card works on a basis of accumulating Sparks which then provides the customer with special offers to choose from which are tailored to them and their shopping pattern with offers such as 10% off food and flowers for a limited period and £10 off womenswear when spending £50 instore..